HESI’s fleet of trucks makes frequent stops at many of the Red River Valley’s regional hospitals every week. Our drivers will pick up a site’s medical waste containers and drop off empty containers for the use of environmental services staff. 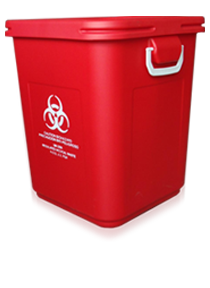 The pickup and transport of medical waste is just one aspect of HESI’s regulated waste disposal services. Dozens of customers across the United States choose to send their regulated waste to HESI for incineration. HESI has a range of container sizes as well as cardboard boxes that will be provided to each customer. We will help each customer in determining what is the best fit for each site.